We love this panel dress by Vera Mont. 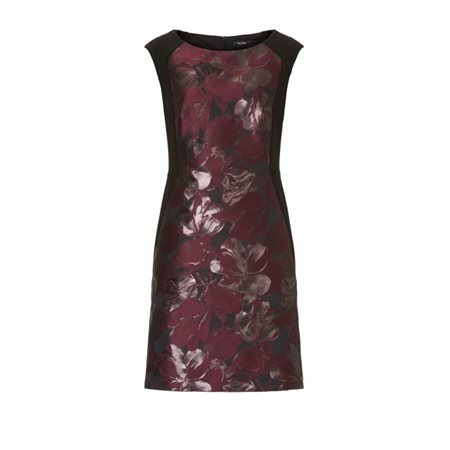 It is ever so elegant with its gorgeous floral print in rich grape with tones of silver and black. The dress has two side panels in black which will make you look instantly slimmer, a great little fashion secret! This dress falls to the knee and closes at the back with a zip. The delicate floral print makes this dress the perfect choice for a party or special occasion, it is graceful and ever so chic.